Gooding & Company realized more than $113.7 million at its Pebble Beach Auctions over the weekend. 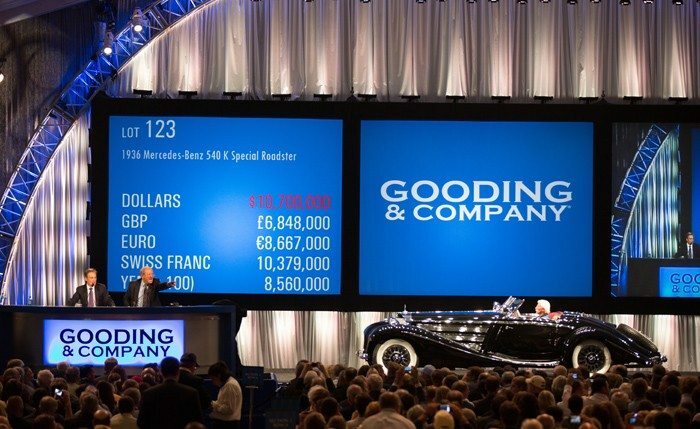 Gooding & Company, the official auction house of the Pebble Beach Concours d’Elegance and acclaimed for selling the world’s most significant and valuable collector cars, realized more than $113.7 million at its Pebble Beach Auctions over the weekend. The auction total is an outstanding achievement and a world record sales total for an automotive auction. The impressive results exceed Gooding & Company’s 2011 Pebble Beach total by more than $35 million. A complete list of prices realized is available on Goodingco.com.